Does anyone know if the Dudjom Tersar is contained in the Rinchen Terzod ? Also looking for the complete indexes of both. That was fast, forgotten what fast is being out here. Thanks Namdrol, much appreciated. Kongtrul wanted Dudjom Tersar in Rinchen Terzo so Khyentse Wangpo sent a message to Dudjom Lingpa requesting that. Dudjom Lingpa replied Dudjom Tersar will not be in Terzo but where Rinchen Terzo is given, Dudjom Tersar will be present also. username wrote: Kongtrul wanted Dudjom Tersar in Rinchen Terzo so Khyentse Wangpo sent a message to Dudjom Lingpa requesting that. Dudjom Lingpa replied Dudjom Tersar will not be in Terzo but where Rincchen Terzo is given, Dudjom Tersar will be present also. Intersting , I was wondering why it wasn't included. Basically, RTD antedates Dudjom Tersar. the same meaning as Yumkha Dechen Gyalmo. Apparently Kongtrul and Khyentse extended in invitation to DL to include his termas in the RT -- he refused, but said that wherever the RT spread, DT wold spread there too. That's more clear, thank you. the Rinchen Terzod. And it is clear that he was right, so far so good. The obvious reason behind the reply was that other major complimentary parts of Dudjom Tersar were yet to come. username wrote: The obvious reason behind the reply was that other major complimentary parts of Dudjom Tersar were yet to come. No, that does not make sense. The RT only contains representative transmissions from all the major terma cycles. 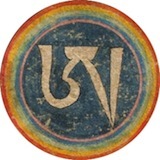 For example, there are texts in DL's collection of termas which come from the original Dudjom, Khathog Duddul Dorje which are present in the RT, but none of DL's own termas. But when the whole Dudjom tersar is given, and not merely Dudjom Tersar i.e. Dudjom Rinpoche's pure vision cycles, it also includes the transmissions from Duddul Dorje, Dudjom Lingpa, and Dudjom RInpoche. Who holds this these days?. Thinley Norbu Rinpoche (Dudjom Rinpoche son) and his sons Dzongsar Khyentse Rinpoche and Shenpen Dawa Rinpoche, Chatral Rinpoche and many others. Heart, who are the many others? I knew of that the ones you mentioned hold it. I know the Khenpo brothers , maybe Chagdud and the Dudjom yangsis. I should have asked who holds it, is near HP , India, is someone I'd want to recieve it from( and would give it CHatral Rinpoche obviously doesn't), if it turns out my own teacher doesn't have it. I looked around the net for lineage lines, with little luck asides from the obvious names. I just read this and were convinced but a minute later thought it doesn't make sense. Kongtrul wanted the new Dudjom Tersar represented but obviously it is the big missing one as all agree. 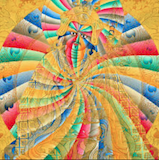 There are many, if not the majority of, Nyingma masters who have DT. Who is propegating it ? In Tso Pema there is the Dudjom retreat temple. In NYC his son Shenpen Dawa Rinpoche (Tersar.org) now recovering & also in NE Khenpo Tsewang Rinpoche who was his secretary once (padmasambhava.org). username wrote: In Tso Pema there is the Dudjom retreat temple. In NYC his son Shenpen Dawa Rinpoche (Tersar.org) now recovering & also in NE Khenpo Tsewang Rinpoche who was his secretary once (padmasambhava.org). The Nyingma Gompa has no one , unless Bhutanese Dudjom yangsi visits, I live in India and visit my birthplace of wash dc only if I have to, thanks. Quite a bit particular about who I'll take wangs from, to say the least. Best to ask Ontul Rinpoche.